Ten major figures in radio and television will be inducted into the Massachusetts Broadcasters Hall of Fame at its annual Induction and Awards Luncheon on Thursday, Sept. 20, at the Boston Marriott Quincy Hotel. Alphabetically by last name, they are: former longtime WHDH-TV, 7NEWS journalist Victoria Block, legendary advertiser in the automotive industry Ernie Boch who will be honored posthumously with the organization’s special Pioneer Award, three-time Emmy award-winner and former co-host of Evening Magazine Sara Edwards, retired Boston radio news veteran Listo Fisher, the “dean” of Western Massachusetts television journalism Ray Hershel, WCVB-TV Director of Public Affairs and Community Services and host/executive producer of CityLine Karen Holmes Ward, the late WBZ Radio news reporter/anchor Lana Jones, WCVB-TV’s Chief Meteorologist Harvey Leonard, This Old House Executive Producer/Director Russell Morash, and one of the early WBCN Radio deejays Maxanne Sartori. Victoria Block, a member of the WHDH-TV, 7NEWS staff for more than two decades and a two-time Emmy Award-winner, was a general assignment reporter who covered topics ranging from education to crime to politics. Block’s reporting took her to Detroit to cover the Nancy Kerrigan/Tonya Harding story, to Israel to cover the murder of Yitzhak Rabin, to L.A. for the OJ trial, to New York City for 9/11, and to Rome when Cardinal Law resigned at the height of the sexual abuse scandal. Before jumping into TV, Block worked in radio for eight years. She was a general assignment reporter and anchor at WHDH Radio, Boston. She has also worked as a reporter and anchor at WJAR-AM Radio and WEAN-AM Radio, in Providence. The late Ernie Boch was, as the Boston Herald once described him, “the windshield-smashing, price-slashing, llama-pasturing sultan of Bay State auto sales.” His groundbreaking TV commercials hit the airwaves in 1964. From jumping out of trunks and smashing windshields to “Come on Down,” Ernie Boch led the way for the self-promoting owner/operator. Ernie worked until his passing in 2003. Today, his legacy lives on. Mr. Boch will be honored with the Hall of Fame’s “Pioneer Award,” which is presented to individuals or organizations who fundamentally contributed to broadcasting. Listo Fisher is an award-winning newscaster who has worked as a host, anchor, and announcer at WCRB, WRKO, WHDH and WBZ, all Boston radio stations, as well as at stations in Ohio, Indiana, New York and Cape Town and Johannesburg, South Africa. Ray Hershel is the dean of Western Massachusetts television journalists. He’s been a broadcast journalist at the same station in Springfield for the last 50 years and just retired as a full-time TV reporter for Western Mass News, WGGB abc40, CBS 3, & Fox 6 in Springfield, on April 27, 2018. Karen Holmes Ward is the Director of Public Affairs and Community Service for WCVB Channel 5 in Boston, as well as host and executive producer of CityLine, WCVB’s award-winning weekly magazine program which addresses the accomplishments, concerns and issues facing people of color living in Boston and its suburbs. Karen has a 40-year career in broadcasting including early stints as a writer at WEEI News Radio, News Director at WILD-Radio and reporter at WGBH-TV. Harvey Leonard is WCVB-TV’s chief meteorologist and forecasts for NewsCenter 5’s early evening and late newscasts, as well as for the station’s website. Leonard served as chief meteorologist for WHDH-TV from May 1977 to April 2002 and has worked as a meteorologist in New England for more than 40 years. He also served as chief meteorologist at WPRI-TV in Providence, RI. Russell Morash has been called the father of “how-to” and “know-how” television. As the founder of This Old House in 1979, he introduced the premier home improvement television series to America. Today he still serves as executive producer and director of The New Yankee Workshop, now in its 18th season. Prior to tackling home renovation, in 1963 Russ teamed up with a budding cookbook author with an unmistakable accent and a marvelous sense of humor to create The French Chef with Julia Child. For the next 30 years Russ and Julia created a number of cooking classics for television, which continue to represent the gold standard of that genre. In 1975, Russ teamed with Jim Crockett to begin Crockett’s Victory Garden, later The Victory Garden, a televised gardening adventure which continued for 30 years until Russ hung up his trowel in 2003. The WGBH program continues to be seen on PBS. The public is invited to attend the Hall of Fame induction event, and tickets at $90 each are available for purchase now by visiting the Hall of Fame website at: massbroadcastershof.org/buy-tickets. Support the Massachusetts Broadcasters Hall of Fame online auction fundraiser! View our online auction here. Starting at 8am on April 14, 2018, the Massachusetts Broadcasters Hall of Fame will be auctioning off a number of fun and unique items to bid on to raise money for our non-profit, 501c3 organization – and the more items we have the more money we can raise, so we’re asking for your help. Show your support by clicking on the “Donate Items” button to contribute to our catalog. Give a little and get a lot in return. Whether you have 1 item or 100 to contribute, your participation is an invaluable part of our fundraising efforts. By donating an item or service directly online, you’ll be helping to raise money for our organization, and you’ll receive a mention on our site that can link back to your own web page. This year, sponsorships for the Massachusetts Broadcasters Hall of Fame “Celebrity” Auction offer organizations excellent exposure. For a $5,000 cash donation, a single “Presenting” Sponsorship is available, and for $2,500 in cash or total value of contributed items (or a combination of both, adding up to $2,500) will get your organization one of the unlimited number of “Gold” Sponsorships. All sponsors will receive wide exposure with their names mentioned prominently on our auction website, on the Hall of Fame’s own website and Facebook pages, and in links to the auction site that broadcast organizations may post on their own websites. You’ll also be mentioned prominently in all publicity that the auction generates. Contact Hall of Fame Auction Chair and Executive Director Burt Peretsky at executivedirector@massbroadcastersHOF.org for more information, or call 781-828-4714. /wp-content/uploads/2015/01/logo-for-web1.png 0 0 Burt Peretsky /wp-content/uploads/2015/01/logo-for-web1.png Burt Peretsky2018-02-06 17:51:492018-02-06 18:17:46Support the Massachusetts Broadcasters Hall of Fame online auction fundraiser! Nine distinguished individuals will be inducted into the Massachusetts Broadcasters Hall of Fame at its 11th annual Induction and Awards Luncheon on Thursday, Sept. 28 at the Boston Marriott Hotel in Quincy. Slated for induction are (alphabetically) 7NEWS’ Byron Barnett, retired Channel 38 General Manager Dan Berkery, KISS 108 radio personality and host of TV’s “Dining Playbook” Billy Costa, Western Mass News TV Anchor Dave Madsen, Cramer Productions Founder and Chairman Tom Martin, WBZ Radio “NightSide” host Dan Rea, Boston Red Sox TV analyst Jerry Remy, Former Chairman and CEO of Greater Media, Inc. Peter Smyth, and recently retired WBZ Radio News Anchor Diane Stern. Martin will receive the Hall of Fame’s “Pioneer Award,” which is presented to individuals or organizations for their pioneering contribution to broadcasting. Hall of Fame President Peter Brown, Principal of Peter Brown Communications, called this year’s inductees “an extraordinary group of broadcasters with impressive credentials. Each person stands alone for his or her outstanding contributions, and together they represent some of the very best in the radio and television industry across the state.” Former long-time WBZ Radio host Jordan Rich, a Hall of Fame Board member, will emcee the luncheon. Tickets for the luncheon are $75 each and may be purchased via the Hall of Fame’s website, www.massbroadcastersHOF.org. The Massachusetts Broadcasters Hall of Fame honors the industry’s most noteworthy members from Massachusetts, commemorates their achievements and contributions to broadcasting, and preserves their work for future generations. The Hall of Fame conducts a nomination and selection process in March and April of each year to induct individuals who have made major contributions to Massachusetts broadcasting and broadcasting in general. A permanent Hall of Fame exhibit with plaques representing all past inductees is on display opposite the Akillian Gallery on the Canton campus of Massasoit Community College. Byron Barnett, host of the long running WHDH-TV public affairs show Urban Update, joined Boston’s 7NEWS in 1983. From crime stories to human interest features to political campaigns, Barnett has covered an incredibly wide range of major stories of local, national and international interest. Among the blockbuster stories Barnett has covered are: the 1984 riots in Lawrence, the release of American hostages from a hijacked TWA flight in Lebanon in 1985, the Space Shuttle Challenger disaster that killed New Hampshire school teacher Christa McAuliffe and six other astronauts in 1986, the Oklahoma City bombing in 1995, and the death penalty trial of bomber Timothy McVeigh. He has also covered every Presidential campaign since Reagan vs Mondale in 1984, including the historic campaigns of the nation’s first African-American President Barack Obama and the nation’s first female major party Presidential candidate, Hillary Clinton. An Emmy Award-winner, Barnett has won many other awards including a Sigma Delta Chi Award, the National Association of Black Journalists’ Region One Journalist of The Year Award, YMCA Black Achievers Award, and several community service awards. Dan Berkery was General Manager of Boston’s WSBK-TV, Channel 38, from 1981 to 1994. He also was a significant player in revolutionizing the Boston sports media landscape as the co-founder of the New England Sports Network (NESN),the first regional sports network launch in the industry. During Berkery’s tenure at TV38, the station was the home for the Boston Red Sox, The Boston Bruins, and later the Boston Celtics, airing more than 150 live sporting events a year. Berkery launched many successful careers, including in 1985, hiring a young broadcaster out of Syracuse University, Sean McDonough, as the Bruins between-period host. McDonough later went on to a three-decade-plus sports broadcasting career and, among other achievements, was the youngest person to ever call a baseball World Series game. As General Manager of a major-market, independent television station, Berkery was a visionary and well respected by almost every national program syndicator, purchasing such shows as Seinfeld, Cheers, M*A*S*H, Family Ties, and many others. Berkery may be best known locally as the host of “Ask the Manager,” where he engaged energetically and candidly with viewers on the behind-the-scenes business of commercial television. The year 2017 marks Dave Madsen‘s 47th year in broadcasting and 25th anniversary with Western Mass News, broadcast on CBS 3, ABC40, and FOX 6 in Springfield. Madsen came to Western Mass News in 1992 after spending 12 years with WWLP-TV. He began his broadcasting career in 1970 with WMAS in Springfield. Later that year he began a nine-year association with WHMP Radio in Northampton. Madsen serves as anchor of Western Mass News’ 5, 5:30, 6, 10 and 11 p.m. newscasts. He was born and raised in Southampton, attending schools there and Easthampton High School. He attended the University of Massachusetts in Amherst where he majored in Communications studies. From 2000 to 2014, he was an adjunct professor at UMass, developing and teaching a television news reporting course in the Journalism department. Madsen is very active in the community as a longtime member of the Jimmy Fund Council of Western Massachusetts, having served as its president and current vice president. He also chaired Western Massachusetts’ most successful golf tournament, the Jimmy Fund – Jeffrey Vinick Classic, and has served as that tournament’s emcee since 1987. He emcees a number of other charity golf tournaments, including Brightside, and the Dawn to Dusk Golf Marathon. He’s involved with Baystate Health’s Rays of Hope Walk, serving as emcee for a number of its events. In 2011, Madsen was inducted into the New England Chapter of the National Academy of Television Arts and Science’s Silver Circle for his accomplishments in broadcasting and his work in the community. He’s won a wide array of community service awards, and TV viewers have honored him with the Valley Advocate’s “Best of Valley” award for nine straight years and 12 out of the last 13 years. Madsen was also voted the Favorite Local TV Personality in the Springfield Republican‘s “Reader’s Raves” poll for four consecutive years. A Boston College and USA Olympics Team hockey star, Massachusetts Broadcasters Hall of Fame 2017 Pioneer Award-winner Tom Martin spent five years as a CPA at Arthur Anderson and was subsequently hired by Cramer Electronics in 1966 as a corporate controller, later shifting gears to become national sales manager in the multi-national company. When in 1979 the company was acquired by Arrow Electronics, Tom took out a loan to purchase the firm’s budding audio/video equipment sales division and, retaining the Cramer name, called the new venture, beginning in 1982, Cramer Productions. He noticed that many companies were still using slides and overheads when they could be taking advantage of then-new video production technology. Now, Cramer operates out of a 70,000 square foot former warehouse in Norwood, MA, modified to be a state-of-the-art studio for their brand experience agency. Powered by their team of 150 people, Cramer produces meetings and events, experiential marketing, and video for global brands. Martin considers it an essential part of Cramer’s mission to contribute to nonprofit and charitable causes. Over the years, Cramer’s team has helped organizations such as Mother Caroline Academy & Education Center, The Francis Ouimet Society, Bridge Over Troubled Waters, and Catholic Charities, to name a few. Over the years, Martin helped Cramer earn a reputation for producing great sports programs, including the critically acclaimed Boston Red Sox: 100 Years of Baseball History, the Emmy Award-winning documentary, Story of Golf, The Banner Years (a Boston Garden retrospective), Home Run Heroes (a tribute to legendary Red Sox players), Ray Bourque: The First 20 Years, and a 50-year retrospective of New England’s famous Beanpot HockeyTournament. Dan Rea, a veteran Boston television journalist, is the host of NightSide on WBZ NewsRadio 1030 every weeknight from 8 pm to midnight. In November of 2010, Rea was honored with the prestigious Yankee Quill Award by the Academy of New England Journalists and the New England Society of Newspaper Editors. This distinguished award is considered to be the highest individual honor awarded by fellow journalists in New England. NightSide focuses on a wide variety of issues, political, economic and social. Rea is a native Bostonian, educated at the Boston Latin School, Boston State College and Boston University School of Law. Rea spent 31 years as an on-air television reporter at WBZ Radio’s sister television station, WBZ-TV, the CBS affiliate in Boston. He considers his most important work in television a 15-year crusade that helped gain freedom for Joe Salvati, a Boston man wrongfully convicted for a 1965 murder. Rea exposed corruption within the Boston office of the FBI, whose agents conspired with a disgraced federal informant to wrongfully, intentionally, and maliciously convict Salvati and three other innocent men. The men and their families were awarded more than $101 million by Federal District Court Judge Nancy Gertner on July 26, 2007, a day during which Rea concluded his career at WBZ-TV with a series of day-long on-air reports. Rea has been awarded Honorary Doctorate Degrees from UMass Boston, Endicott College and the Massachusetts School of Law. Peter Smyth is recognized as a visionary and thought leader in the radio broadcasting industry. He most recently served as the Chairman and Chief Executive Officer of Greater Media, Inc., one of the nation’s leading broadcasting companies. In this role, Smyth oversaw the operational efforts of 21 AM and FM radio stations in Boston, Charlotte, Detroit, Philadelphia and New Jersey; a group of weekly newspapers in central New Jersey; and several telecommunications towers throughout the United States. Over the past three decades, Smyth served in a variety of capacities within Greater Media, including General Manager of WMJX-FM in Boston, Vice President of the Radio Group, and Chief Operating Officer of Greater Media, Inc. He began his career in broadcasting in 1977 as an account executive with WROR-FM in Boston and was quickly promoted to General Sales Manager, a position he held for the next five years. In 1983, RKO General, the parent company of WOR, recruited him to serve as general sales manager of its New York stations, where he directed the company’s sales operations until his departure in 1986 to work at Greater Media. Smyth helped to revolutionize the broadcasting industry by advocating for and adopting new technologies such as HD Radio and internet streaming, and by developing and incorporating innovative content to improve media communications and meet the emerging demands of the industry and its advertisers. He was named a “Giant of American Broadcasting” by the Library of American Broadcasting in 2014. Radio Ink Magazine, a leading broadcast industry publication, in 2005 and 2011, selected Smyth as “America’s Best Broadcaster.” In addition, he has been recognized as one of Radio Ink’s “40 Most Powerful People in Radio,” ranking among the top ten. In 2007, the publication named him “Radio Executive of the Year.” An active philanthropist, Smyth currently serves on the Board of Directors of New England Baptist Hospital and the One Hundred Club of Massachusetts, an organization dedicated to enhancing the welfare and safety of the families of public safety officers and firefighters. He is a past member of the Board of Trustees of Emerson College and the United Way of Massachusetts. Additionally, he is a member of the Advisory Board for US Trust, Bank of America Private Wealth Management. In 2007, he received the “Humanitarian of the Year” Award from the Hundred Club of Massachusetts and the Golden Mike Award from the Broadcasters Foundation of America for exemplary service in the radio Industry. Diane Stern anchored the news at WBZ NewsRadio from 1983 to 2016. During her more than three decades there, Stern brought listeners the news of some of the region’s most historic stories. From Presidential elections and the New Hampshire primaries, to the Gulf Wars, to the 9-11 attacks, the capture of James “Whitey” Bulger, and the Boston Marathon bombings—Stern was one of New England’s “go-to” journalists when people needed straightforward, unbiased reporting. Stern also specialized in covering stories involving the vast changes in the medical world. She focused on the research and development of new treatments for diseases as well as new technologies that made the jobs of healthcare providers easier. Recently, Stern won the 2017 Regional Edward R. Murrow Award for Best Newscast. Prior to joining WBZ News Radio, she worked as a morning anchor at WEEI Radio in Boston from 1978 to 1983, WITS and WMEX Radio in Boston from 1976 to 1978, and WMLO Radio in Danvers, Massachusetts from 1975 to 1976. Stern has also been honored with several Associated Press awards for her work in radio, was a finalist in the New York Radio Festival Awards and won for Best Newscaster in the March of Dimes Achievement in Radio Awards of 2000. One of the highlights of her career was covering the New England Blizzard of 1978 for WMEX Radio when the broadcasts were conducted by phone in candlelit studios. Stern also conducted a live interview with President Clinton in 1995. Stern is a Board of Trustees member of and an ESL tutor at the Immigrant Learning Center in Malden; she has volunteered for My Brother’s Table in Lynn; and she emcees events for charitable groups including The Arthritis Foundation, the Preeclampsia Foundation, the Salem Literary Festival (Salem Lit Fest), and the Alzheimer’s Association, MA/NH Chapter. Peter Brown, former longtime News Director at Boston’s WBZ-TV, Channel 4, and former Chief of Staff to the President and CEO of Partners HealthCare, is the new President of the Massachusetts Broadcasters Hall of Fame. Brown is the organization’s third president. He succeeds Don Kelley, who served as Hall of Fame President for two years and is the former 22-year Vice President of Programming at Magic 106.7 FM in Boston. Brown is the founder and principal of the strategy communications consultancy, Peter Brown Communications of Boston. He is a senior executive with vast experience in broadcast journalism, communications/brand strategy, internal and external communications, crisis communications, C-suite management and leadership, media and public speaking training. Brown spent more than 25 years in broadcast journalism. He started his career in radio news in 1977 and transitioned to television in 1978. After graduating from the University of Rhode Island in 1979, Brown worked as a broadcast producer at television stations in Providence (WJAR-TV), Philadelphia (WPVI-TV) and Boston (WBZ-TV), where he was News Director from 1993-2004, leading a staff or more than 125 journalists. During Brown’s television news career, he was honored with numerous awards from the Associated Press and United Press International. He received an Emmy Award, a Best of Boston Award as Best News Director from Boston Magazine and several distinguished accolades from the Radio/Television News Directors Association. In 2000, he and his WBZ-TV news team were acknowledged with the highest award given to any television station, the Edward R. Murrow Award for best local news station in America. 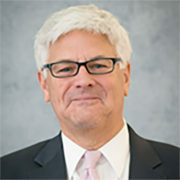 In his previous position at Partners HealthCare, the state’s largest private employer with more than 65,000 employees, he worked directly with the CEO and senior leadership of the organization to advance the mission of the health care system. Among his responsibilities, Brown oversaw external affairs for Partners, which includes Community Health, Government Affairs, Public Affairs and Communication and Development. Prior to this role, Brown was Vice-President of Public Affairs and Communication for Brigham and Women’s Hospital.